A mother continues her search while lost in fear, uncertainty and questions unanswered--clinging to hope that someone, somewhere knows something. MARIETTA, Ga. – Tiffany Whitton had her demons and was known to go off the grid for weeks at a time. 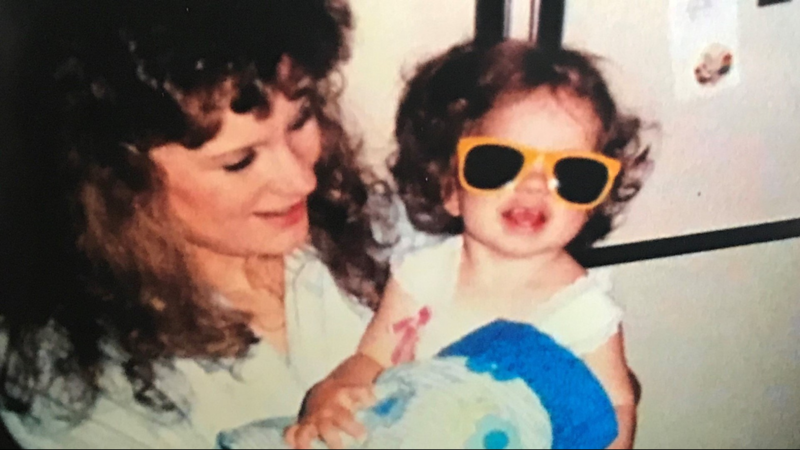 But when Sept. 19 rolled around every year, no matter the arguments between them, she would always call her mom, Lisa Daniels, to wish her a happy birthday. She's blown out candles on four birthday cakes, opened countless gifts, fielded a slew of happy phone calls from friends and family, but Daniels has turned one year older for four years without a word from her eldest. In fact, no one has heard from Whitton since Sept. 13, 2013. “Even if we were on the outs, on my birthday, she would always call me. Always. And it didn't matter how bad things were, she would always call me. The fact that she hasn't reached out to anyone... she's either not out there or she is not able to reach out to anyone,” Daniels said. “Have I given up 100 percent of my hope? Absolutely, not. And never will, until there's a positive ID that she's been found." The last time Daniels talked to her 26-year-old daughter was on Aug. 31, 2013. They were exchanging witty banter-filled text messages over a college football game. A week later, Whitton reached out to her grandmother, Daniels’ mother. According to her, Whitton showed up, claiming that she had no food and no clean clothes. Her grandmother took her to the laundromat and met Whitton’s boyfriend when she dropped her off with bags of food. Daniels said that her mother begged Whitton to come home with her, but she refused. And for the next four years, Daniels’ phone has remained silent—no voicemails, no calls, no texts from her daughter. 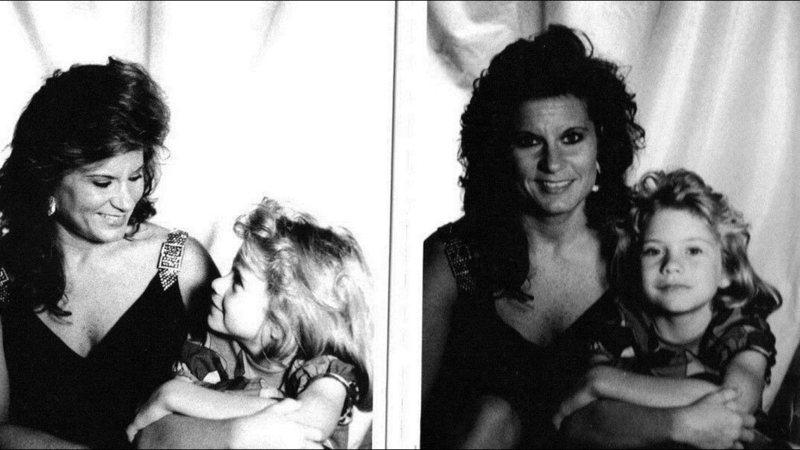 Today, she searches every face she comes across looking for her daughter and mother to her 10-year-old granddaughter. She clings to hope that new leads will reveal the truth once and for all, and put a fire under this cold missing persons case. A blonde Whitton wriggled out of her purse and bolted from a pair of sliding glass doors, running out of her flip flops and leaving her phone behind. Once outside, she darted underneath a sign that warned: cameras installed. And they were—catching her every footstep. 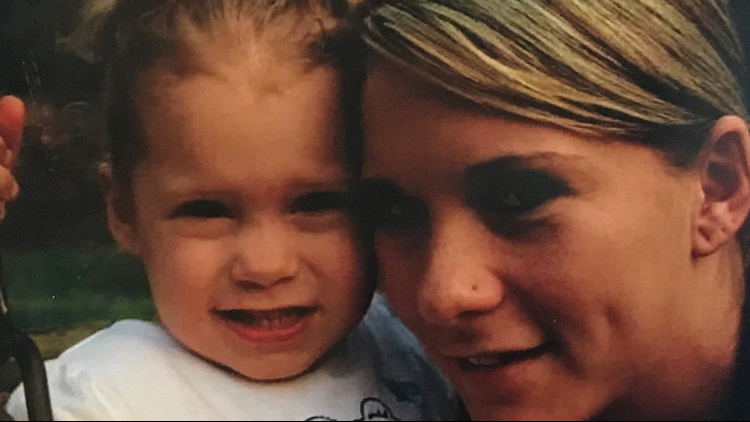 Whitton, a young mother to a then-6-year-old, seemingly vanished from the Walmart Supercenter on Cobb Parkway in Marietta, Ga., on Sept. 13, 2013 around 2 a.m. She had been detained for shoplifting with her then-boyfriend, Ashley Caudle. She was on parole for another crime. “On the night that she disappeared, she was up to no good that night as well. She was high. She was in Walmart. She bought some things and she also lifted some things. She was with her boyfriend at the time and was caught, initially, by their security at Walmart, and got away,” Daniels said of her daughter who has struggled with addiction. Daniels attempted to retrace her daughter's last-known footsteps. Following her illegal and abrupt disappearance, no one reported her missing. It wasn’t necessarily alarming or unlike her to ignore her family or stop calling her friends, Daniels admitted. But after the lack of phone call on her birthday and her absence during the holidays, a few months after that footage was captured inside Walmart, her mom knew something wasn’t right. But, usually, Daniels said, Whitton would contact someone in the family—cousins, her grandmother, friends or co-workers at IHOP... someone. It wasn’t until Daniels mother, who Whitton had listed as her residence, received a letter from Walmart about the shoplifting incident. It was the first that they knew about it. “So, then we're thinking, 'OK, she's on the run. She's high.' She was already on probation, so we just figured she's high now,” Daniels said of her drug-addicted daughter. But when the family started to call and inquire with Caudle what happened to Whitton, he claimed that the night at Walmart caught on surveillance video was the last time he laid eyes on her as well. Daniels took to Facebook, surfing, searching, wading through messages, alerts and friend requests on her daughter’s page. And what she found took her aback. "I haven't heard from you, call me." But the anxious mother eventually filed a missing persons report with the Marietta Police Department in January 2014. The following summer, police searched Whitton's boyfriend’s house, but could not find any evidence pointing to her whereabouts. 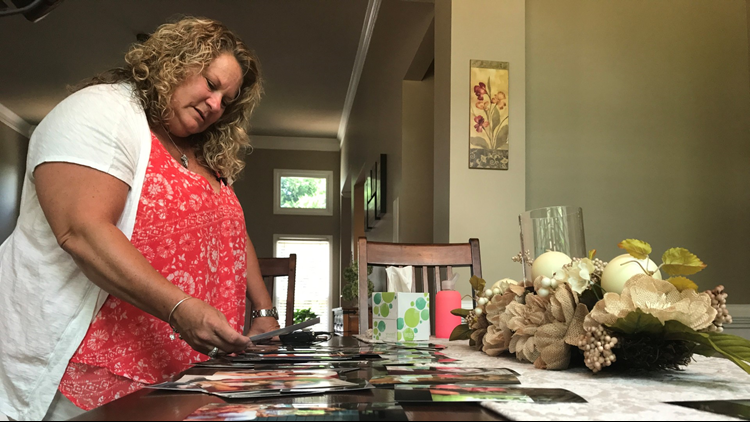 Caudle’s mother, Peggy Bailey, told 11Alive three years ago, that she did not believe her son had anything to do with Whitton’s disappearance. But she did say he had a drug problem. Memories are strewn across her dining room table. One by one she plucks each photo and remembers a tiny anecdote share. It's all she has left. Tiffany Michelle Whitton was never one to wait around. In fact, on a mild Georgian winter's day, she decided to enter the world seven days early, although her mom was scheduled for a C-section on Feb. 6, 1987. Whitton was born on Jan. 30, 1987 around 9 p.m.—only an hour after getting to the hospital. And from that moment on, mother and daughter were inseparable. While her parents divorced while she was an infant, she was still a happy-go-lucky little kid, not to mention a rambunctious handful. The little girl, who dressed up in ruffles and lace for photos, loved exploring the outdoors, playing basketball, cheerleading and watching cooking shows. In fact, her Saturday morning ritual wasn’t cartoon-watching like her friends, rather, it was pouring herself a bowl of cereal and flipping on the TV to cooking shows and infomercials. But she didn't dream of becoming a chef. She wanted to be a veterinarian. However, when she dropped out of high school during her sophomore year, her reality would set in—for Daniels as well. The daughter who was once a “mama’s girl” had turned to a new comfort: drugs. And the young mother started on her rap sheet early on, getting caught shoplifting a $3 pair of flip flops from Walmart. Drugs took over in her early 20s. She spent a short time in prison in 2012, and was released right before Thanksgiving. She was starting to move to the right path, it seemed. In fact, Daniels said, they took her to a rehabilitation facility. The daughter she described as a good-hearted person, had an increasingly volatile relationship with her. The older she got, the rockier their relationship grew. Their relationship soon began to feel like a never-ending roller coaster that Daniels couldn't get off of. And now, Daniels’ granddaughter, Whitton’s daughter, is the spitting image of her mom, right down to the southern drawl in her words. “I look at her and imagine her being Tiffany, sometimes. It's hard not to,” she said, choking up on her emotion. “But, we love her and she's like our own; we raise her like our own. But she knows that we are biologically her grandparents. She's our baby; she's our daughter as far as we're concerned. And that's how we raise her. 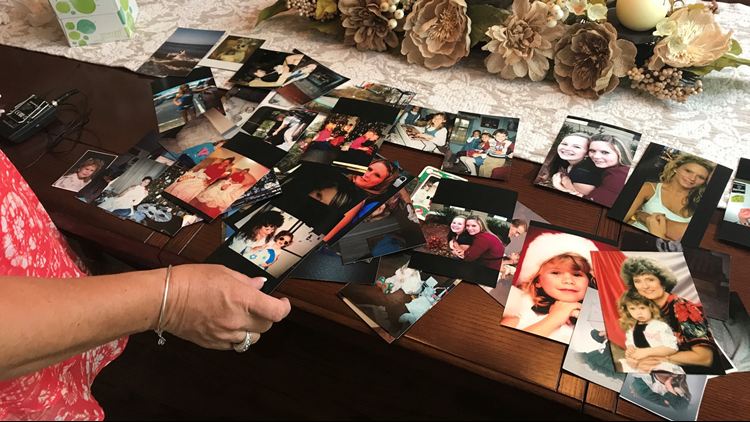 After two years, the Cobb County Cold Case Unit picked up Whitton’s missing persons case in 2015. "It's a case, I will tell you, that is way, way up on our priority list. We want to find Tiffany—for a number of reasons. One, and the primary reason, as is with any cold case, is that you want to get some closure to folks. They need to know what happened, the family does," Cobb County District Attorney Vic Reynolds said. PHOTOS | Have you seen Tiffany Whitton? "She's a mother. She's a daughter. And everyone has their own demons that they wrestle with, and I'm sure Tiffany was no different. She had certain demons that she was dealing with in her life, day in and day out. But the bottom line is that this was a beautiful young lady; she's someone who's loved by family members. She is somebody, who people care about, wonder, literally every waking moment of the day, 'Where is my child? Where is my mother? Where's this person, my friend who've we lost and can't find?'" “I feel really good that eventually this matter will be dissolved,” he continued. And he warns that the cold case unit is not the group of bloodhounds you want on your trail if you did something you shouldn’t have. “We've committed to Tiffany's mother that we are going to do everything humanly possible to find out what happened to her. If she's been killed. The case turns from 'finding Tiffany, to finding out what happened to Tiffany.' And if something happened to Tiffany, that involved a criminal activity, every bit of the effort, every bit of the energy involved in finding her goes to making sure that person is held responsible." Sometimes, she said, Whitton comes to her in her dreams. And, even momentarily, it comforts her. It's what gives her the strength to hold out a glimmer of hope that she will, one day, walk through the door again. But she is optimistic, especially in light of Chase Massner’s case. Massner was from the same area, around the same age and disappeared just a few months after as Whitton. “It gives me hope that we're on the right track, and that we're going to find her. I do believe that. What keeps her moving forward these days is that steadfast belief and her family. Whitton is 5’3 tall and 105 lbs., with blonde hair and green eyes. She has several tattoos, including Chinese letters on her lower back and wrist, as well as a butterfly on her right hip. Anyone who knows anything about her disappearance should call the Cobb County Cold Case Unit or the Marietta Police at (770) 794-2366, or call their tip line at (770) 794-6990; or visit the Facebook page "Find Tiffany Whitton," that Daniels created. She hopes the next Facebook follower will be that one person who knows the answer to her questions. “We still believe there is at least one person who either knows where Tiffany is or whether something may have happened to her," her mother said in a recent post. "Not knowing where she is or whether she's alive is agonizing."